Credit goes to my sister, a teacher, for sharing the idea of how to make these! All you need is some citrus fruits of your choosing and some time. It does take a while, so pop a Christmassy film on, set a timer for every 30 minutes and enjoy the fruits of your labour (sorry!). 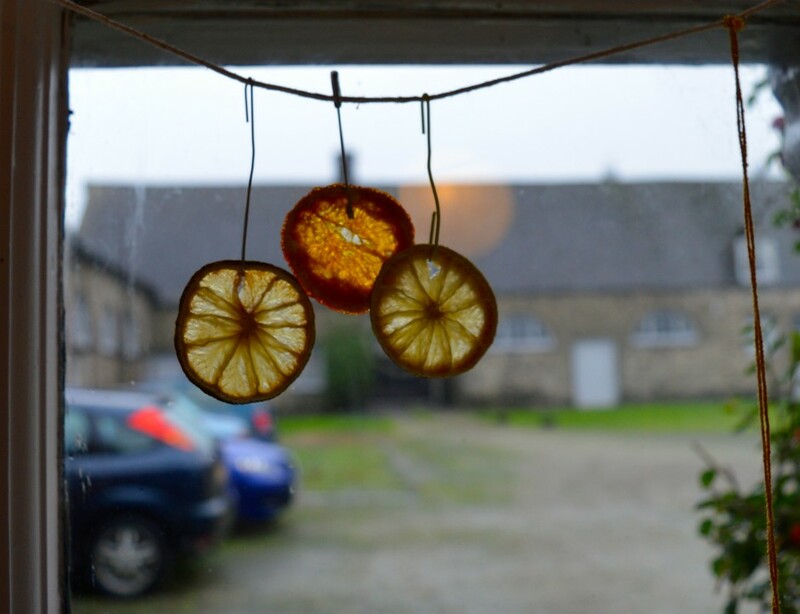 Although the fruit decorations take around two to three hours to make, they’re quite a simple DIY and make lovely tree decorations. So get chopping and enjoy! Chop the fruit into thin, even slices. The thinner the slices are, the less time they’ll need in the oven. 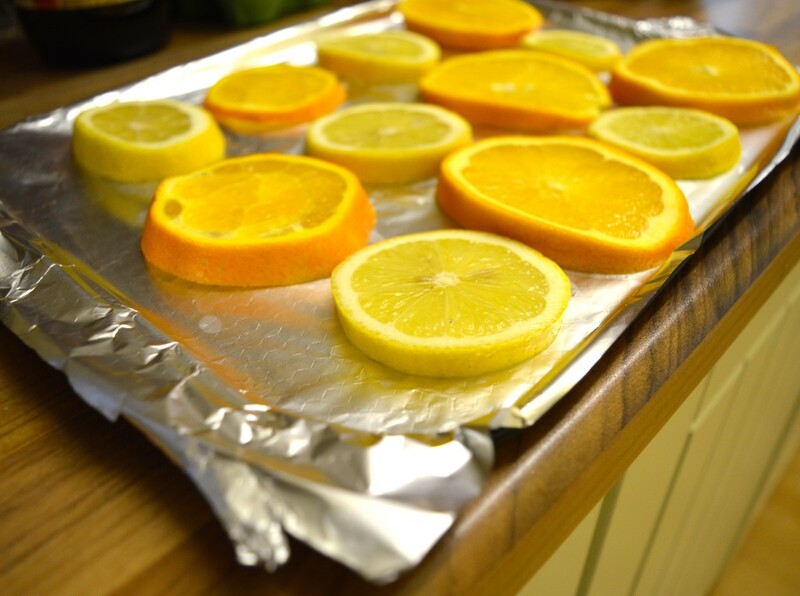 Place on a baking tray covered with foil or baking paper and bake for about two to three hours, at around 100 degrees celsius, making sure you turn the fruit every half hour so that each side is cooked. Check the fruit regularly as you don’t want them to burn and take out the dried out pieces as you go! 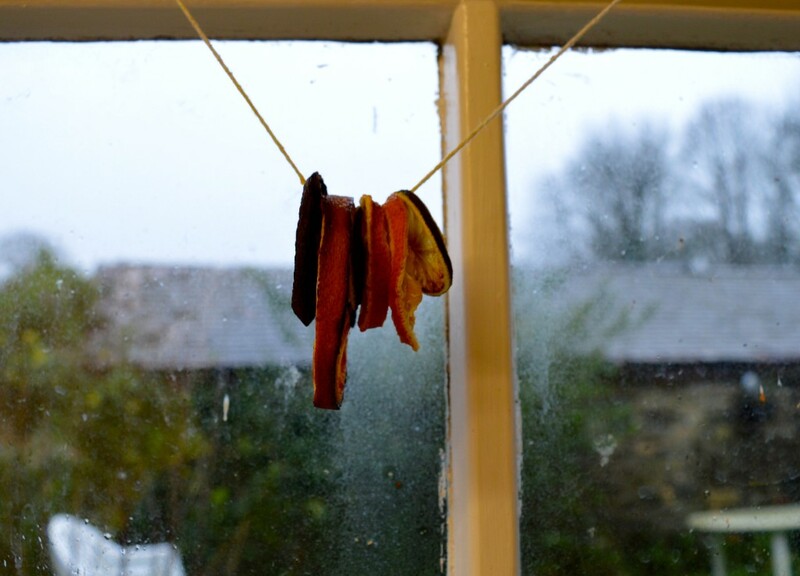 Once the fruit is dried out completely, take them out of the oven, leave to cool and hang up with paper clips or a piece of string. As always, use the #12DIYsofChristmas hashtag to show me what you’re making and to see everyone else’s! 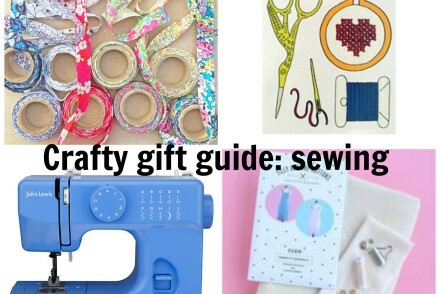 I'm a writer and dressmaker with a weakness for floral fabric. I own far too many cameras and satchels, and my favourite place is by the sea!